Team 624 Parents and Mentors,Wow, what an extremely successful 10th Annual Science Day Camp (SDC) this past weekend! One of the many ways Team 624 encourages and grows the focus of Science, Technology, Engineering and Math (STEM) in our community. Cryptonite students led the way, manning science stations, and assuring all those attending learned a new level of STEM. It was a fun and educational success with more than 110 student “Campers”, grades 4th through 7th attending. The Campers rotated through a record-breaking 10 different STEM-based stations (in honor of our 10th anniversary! 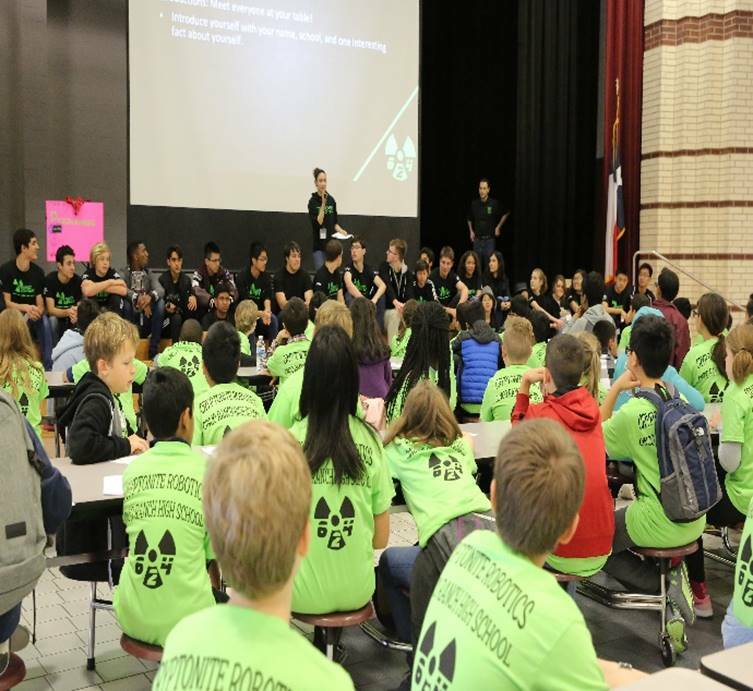 ), including several new stations such as biomedical engineering, material science, detective chemistry and civil engineering.A few highlights include prototyping and testing earthquake-proof buildings, learning about monomers and polymers while making slime, using forensic chemistry to identify the culprit in a diamond heist, going bananas while controlling a computer (ask your student about that one)! !Please view our gallery of SDC photos at https://gallery.team624.org/Coming-Soon-1-6-18/Science-Day-Camp-11-10-18/.The feedback received at the end of the day was incredibly positive and we could not have had such a well-run event without the steadfast support of Team 624 team members, parents, mentors and other volunteers.Thanks Again!